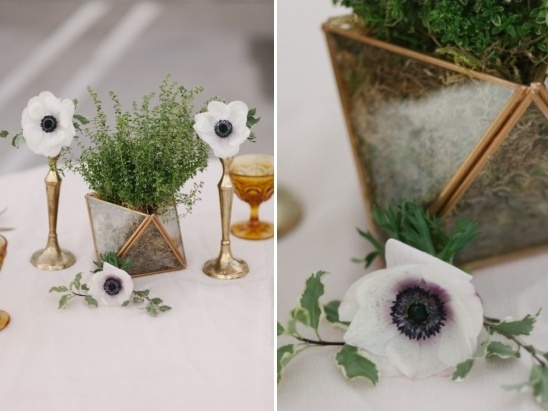 This beautiful shoot was a delightful mix of modern and vintage elements. 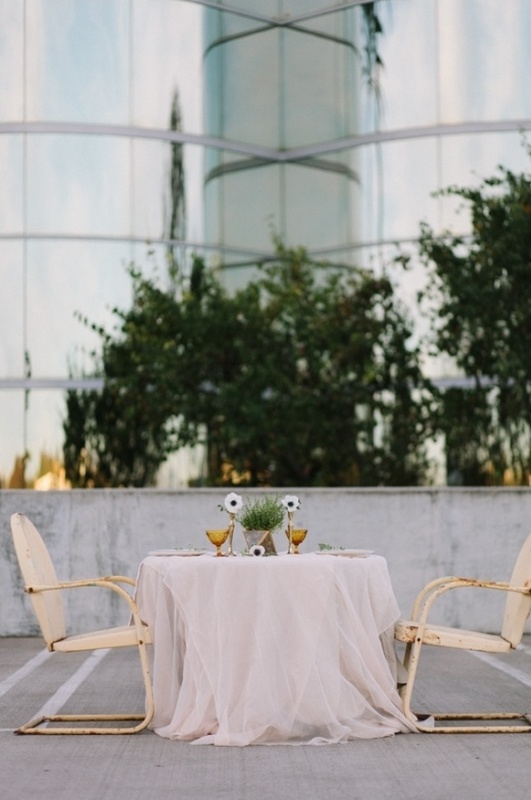 The venue had a modern aesthetic, and the decor and details brought in a softer vintage feel. 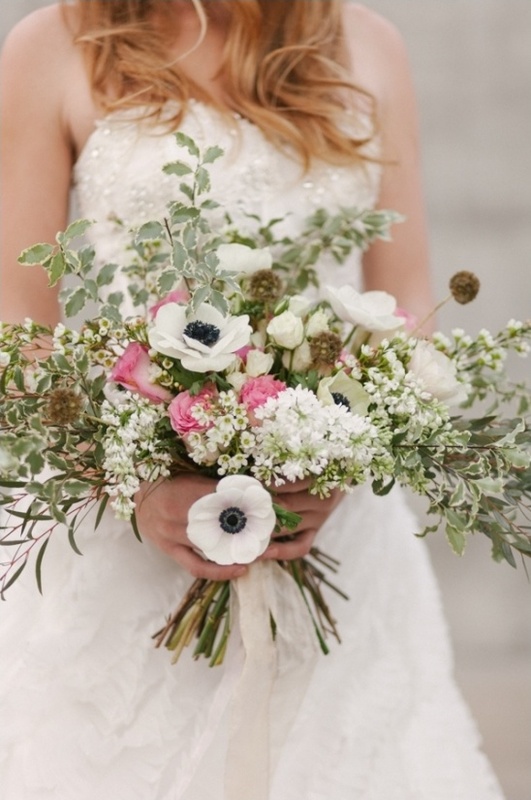 Stunning blooms from Studio Mama's complimented three gorgeous gowns from Adina's Bridal, and the day was perfectly wrapped together with touches from Can't Say I Do Without You. 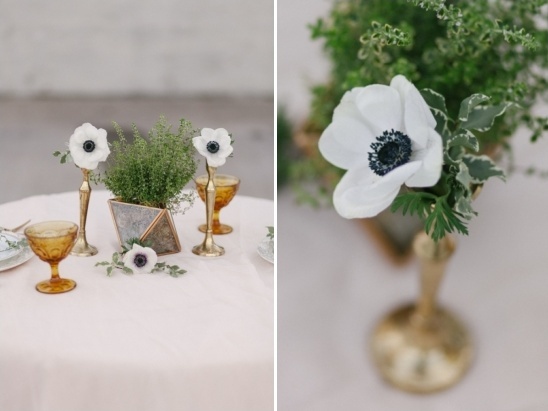 View all of the amazing aspects of this modern meets vintage shoot in the full gallery here, marvelously captured by Megan Jeanne Photography. 1. 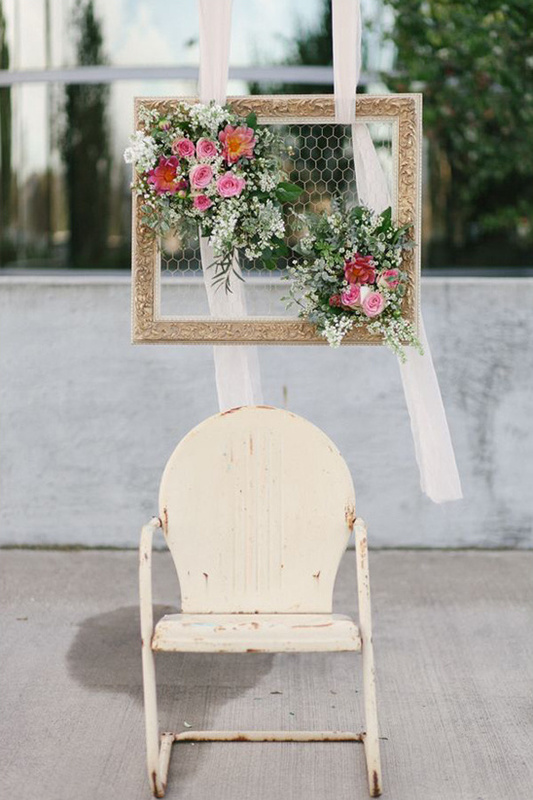 Take a vintage frame, remove the glass and set aside, and spray paint the frame to match your wedding color palette. 2. Then, take chicken wire and cut it to the size of the frame (it might be fun to spray paint the chicken wire as well)! 3. Before you attach chicken wire to the backside edge of your frame, place two pieces of sturdy fabric around a horizontal edge of the frame to hang it with. 4. Attach chicken wire to the backside of the frame. You may have to use different methods depending on what your frame is made of. For a wooden frame we recommend stapling the chicken wire. 4. Place soaked floral foam on opposite corners of the frame against the chicken wire. You can secure the floral foam by wrapping large zip ties around the foam and securing it to the back of the chicken wire. 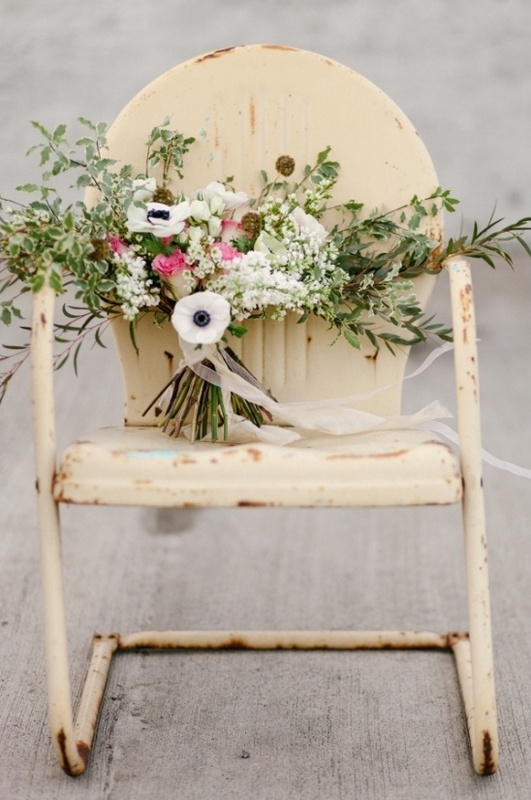 For more security you can use additional zip ties, as they wont show once you fill the foam with florals. 5. 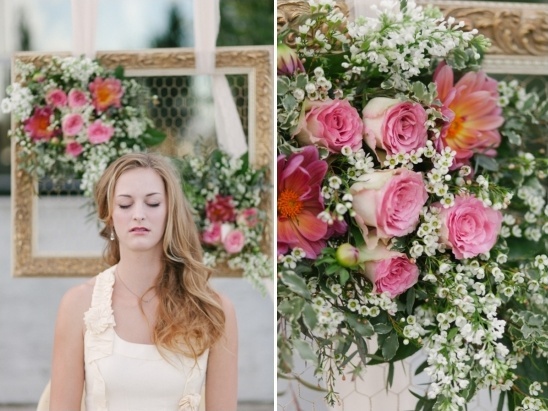 Start placing an array of beautiful florals. 6. 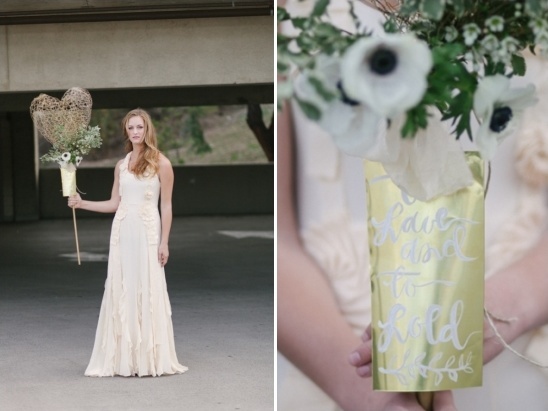 Hang it from somewhere sturdy, like a large tree branch, and voila you have an amazingly cute and affordable wedding ceremony backdrop. 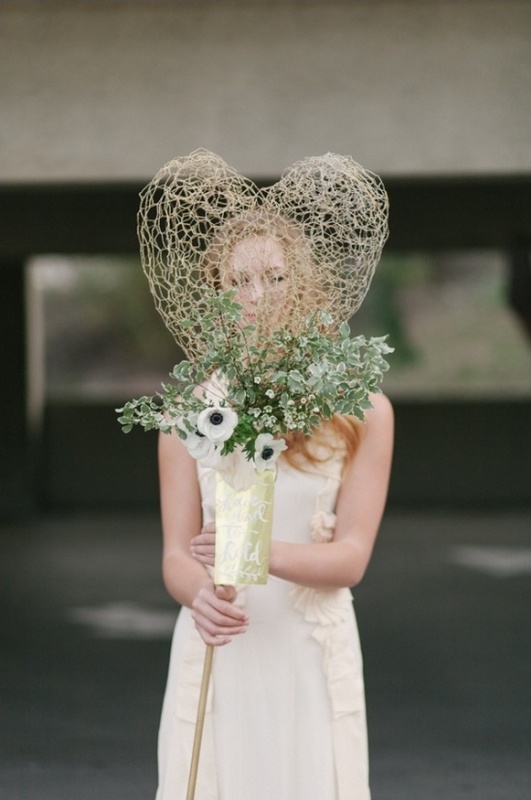 From the Vendors:The styling was done by Can't Say I Do Without You, and she made chicken wire heart shapes that were spray painted gold. She and our floral designer, Studio Mama's, also made a floral art piece, using a vintage picture frame, chicken wire, and fresh flowers. 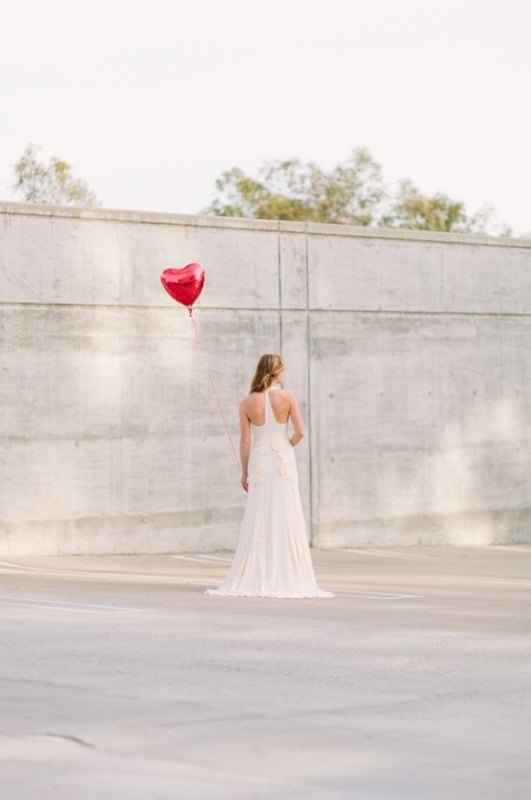 Wardrobe was proved by Adina's Bridal, including a few gowns from BHLDN. 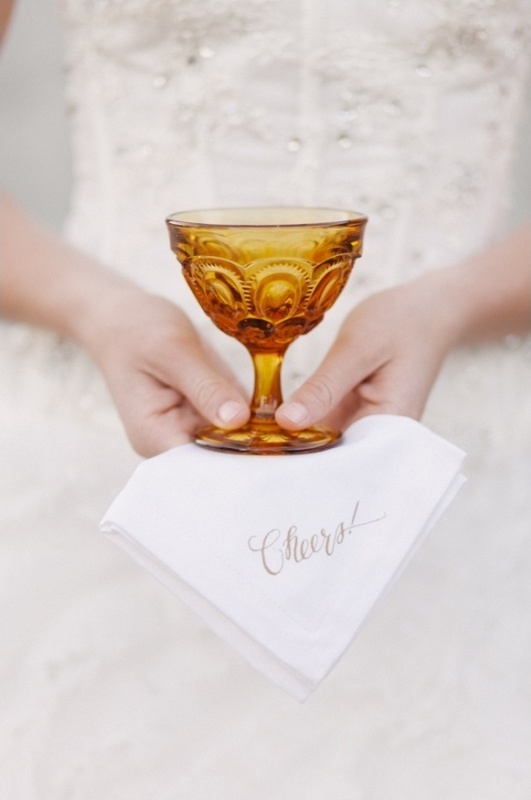 Adina's Bridal provides designer gowns at incredible prices. Studio Mama's also made a beautiful bouquet tied with silk ribbon that she hand-dyed, and a lovely modern centerpiece. 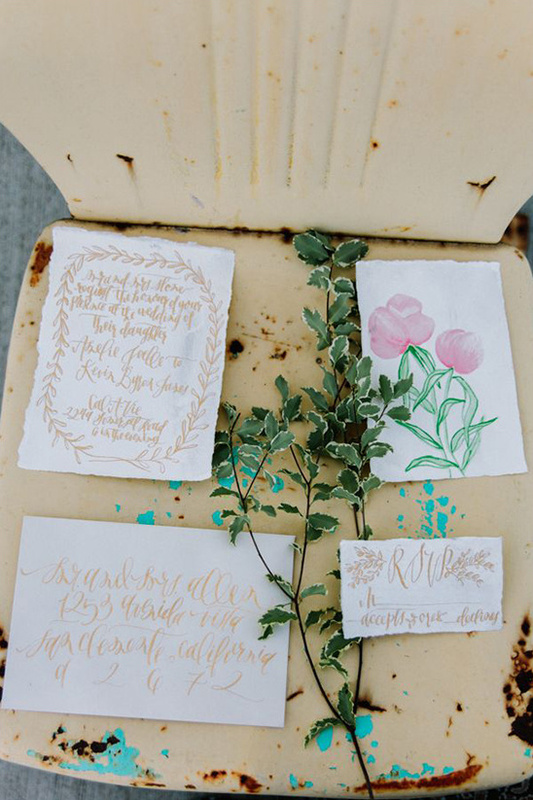 The invitation, calligraphy, and day-of details were done by Mon Voir. 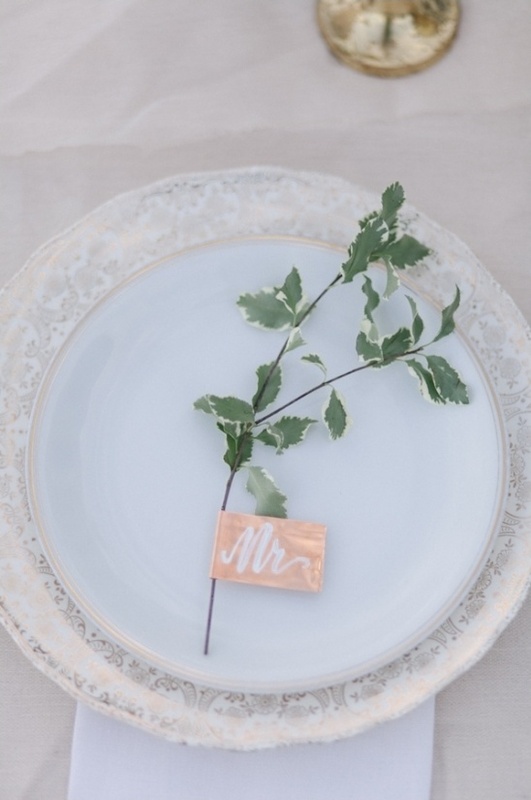 She hand painted pieces of copper and wrapped them around sprigs to make place cards.